Whenever you need to get cell addresses as references, use one of the three options provided by this tool. To refer to an individual cell or a range of cells from another workbook, choose External Reference. Want to have the reference fixed, select Absolute or External Absolute. Whichever option you choose, the address gets copied to the clipboard automatically. Need to use it in your formula? Click Paste! It's that easy. Get address of a cell or range Select one or more cells, contiguous or non-contiguous, and get all their addresses copied to the clipboard in a single click. Copy address as absolute cell reference In case you need a cell reference that won't change no matter where the formula is copied, paste it as an absolute reference. 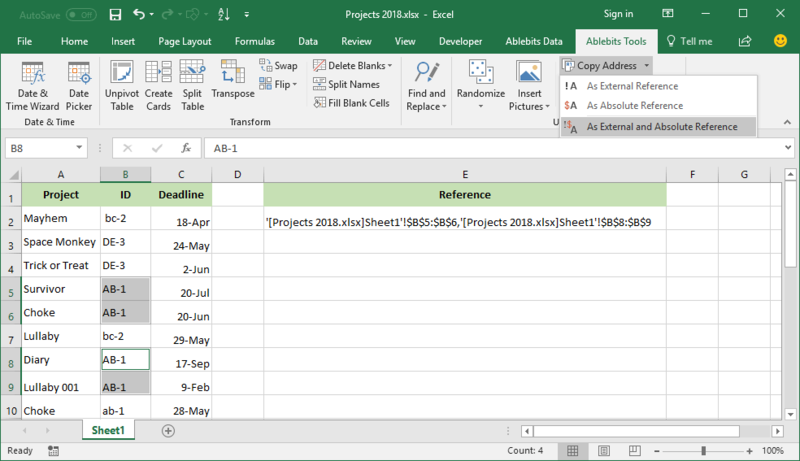 Get address as external reference If you are going to refer to a cell or range from another Excel file, copy its address as an external reference. 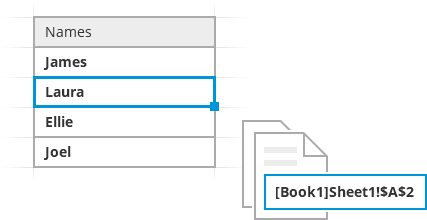 Copy address as external absolute reference To fix the reference to a specific cell or a range of cells in a different workbook, use an external absolute reference. What is Copy Address and what do I need it for? 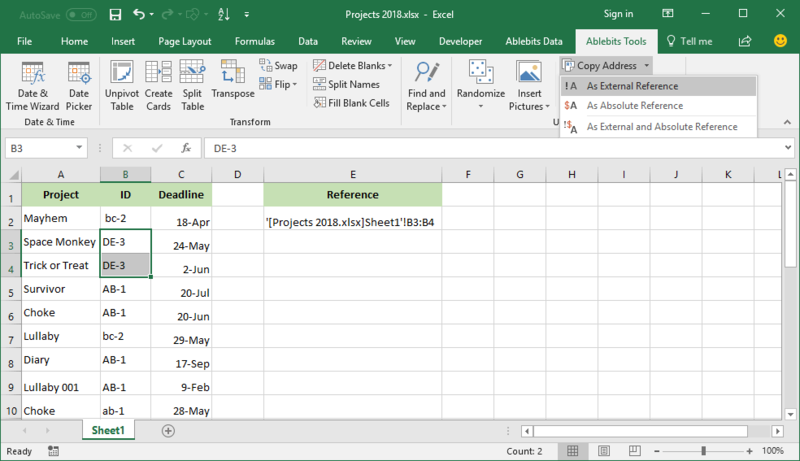 Copy Address is part of Ablebits Ultimate Suite for Excel. The utility helps to quickly copy and paste the address of a selected cell or a range of cells as an external or absolute reference. Besides, it can copy address as both external and absolute reference. 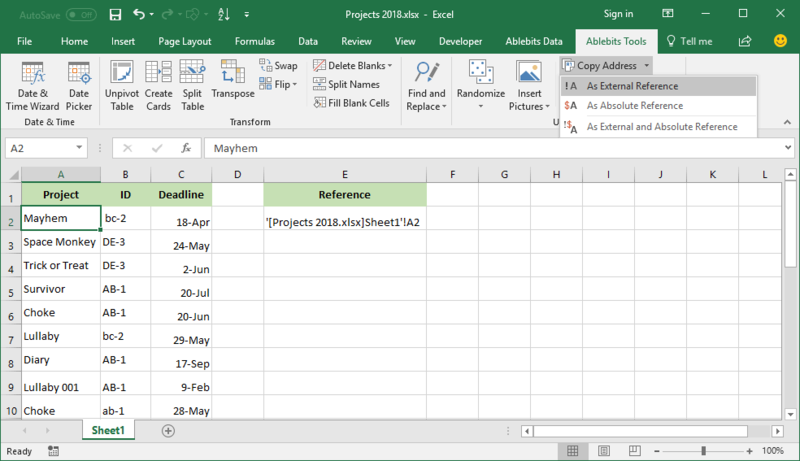 If you want to link your datasets located in different worksheets and workbooks using formulas, the Copy Address plug-in will significantly save your time. Can't I get cell address without any utilities? Of course, you can. This can be done by using the Excel ADDRESS function. However, this function is not very comfortable to use when it comes to external references because you will have to type the workbook name manually, which is a slow and error-prone way. Our Copy address utility accelerates the process. Just one click – and the cell reference is copied the way you need it. What if I need to refer to a cell from another worksheet? Choose to copy your cell address as External Reference. 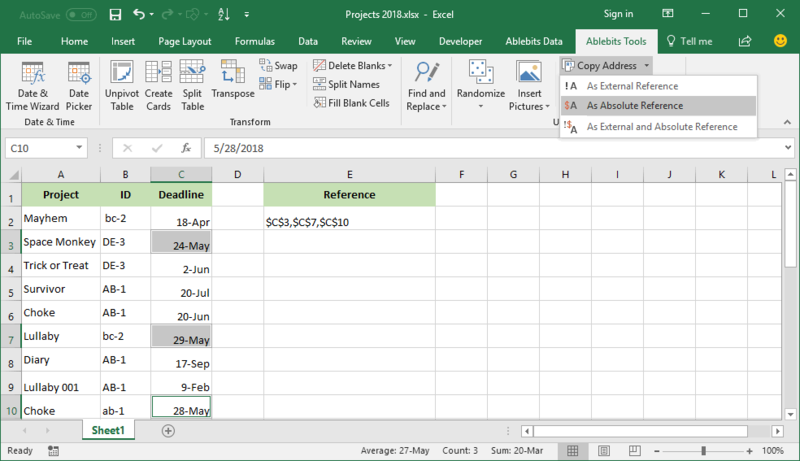 This will copy the address of a selected cell(s) to the clipboard as an external relative reference. Then, right-click the target cell and click Paste or press Ctrl+V. Can I get a fixed reference to the cell? Of course. For this choose the Absolute Reference option. What if I need to get an unchangeable reference to a cell in a different workbook? In this case, copy the cell address as External and Absolute Reference.